Contact Archers today for a quote on your diamond drilling. Diamond drilling is the most cleanest solution for creating precise circular holes and slots through concrete, masonry, brickwork, asphalt and marble etc. 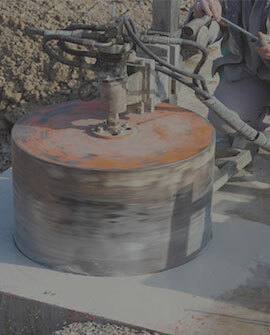 What is Diamond Drilling and Concrete Cutting? 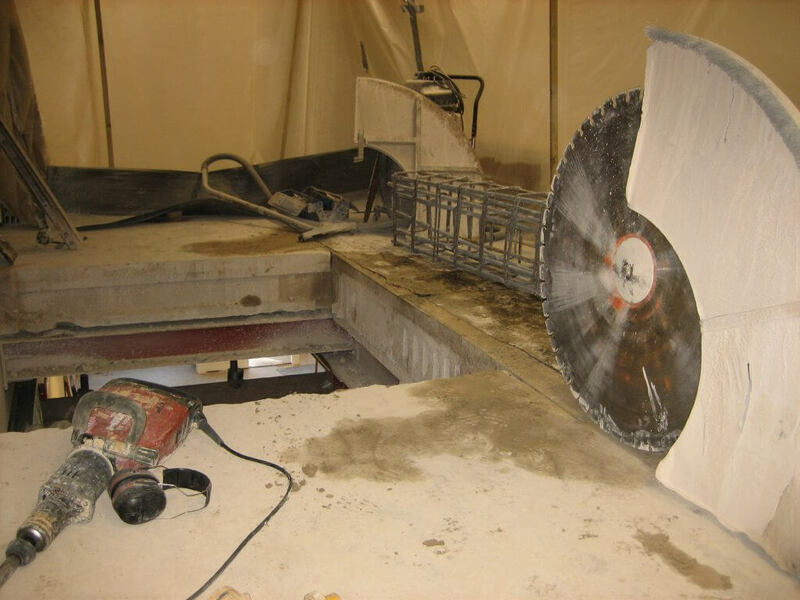 The most common use of any diamond cutting tool is concrete core drilling, a very efficient process that is noise and vibration free and virtually dust free. 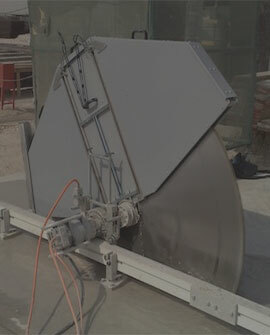 Most holes are usually cut for electrical cables and plumbing pipework but may also be used for sprinkler systems, HVAC ducts, fibre optics, phone lines, computer lines and much more. After the drilling is complete it is simply a case of removing the solid cylindrical slug or “core” of concrete from the hole. Archers has a very skilled workforce that are able to handle many different types of core drilling equipment. Our previous work includes drilling 2.4m long holes while providing and installing Cintec Harke restraint fixings at the Imperial Buildings Shopping Arcade in Brighton. We’ve also been commissioned to diamond drill and install Cintec Harke ties at Brighton Film Studios to stabilise the outer leaf of flintwork. This was done by drilling and fixing to the existing joists between the ceiling and floor void at the 2nd floor level. With an inherent understanding of the work that we do, our team of highly trained, professional engineers can carry out all aspects of diamond core drilling. For everything from 12mm precision drilling and drilling large holes for extractors Archer Specialist Treatments can deliver. We provide first class services conducted by highly trained and insured professionals. 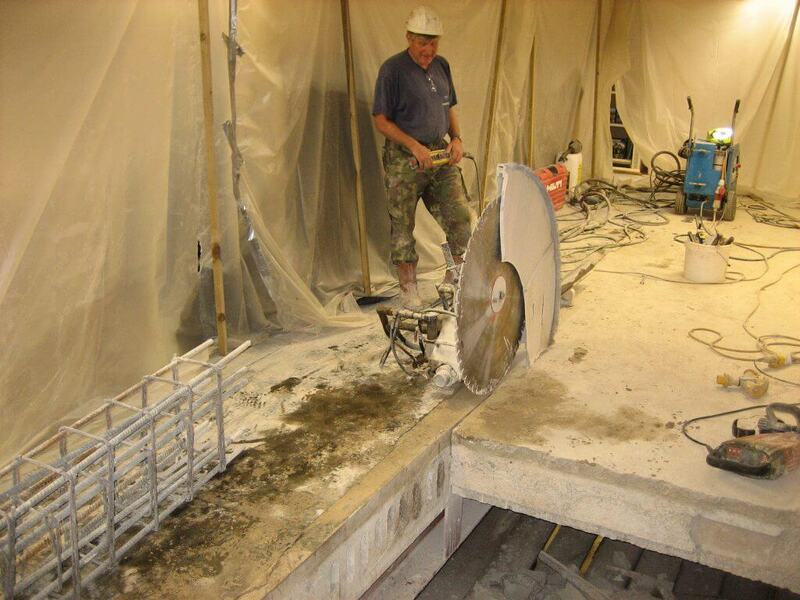 Images 1 and 2 = Forming and creating a opening through a 350mm reinforced concrete floor slab for a new staircase during a refurbishment and upgrade at Shooters Hill Campus in London. Looking For Diamond Drilling services? Our diamond drilling service is a very efficient process that is noise and vibrant free, as well as being virtually dust free. Archers are an established and highly reputable specialist contractor based in Sussex at Winters Farm. We offer a proven top-quality service with honest advice. Archer Specialist Treatments Ltd, Winters Farm, North Common Road, Wivelsfield Green, East Sussex, RH17 7RJ.